Steve is Chair of the firm's Municipal Law and Finance Group and a senior partner in the Employment Law and Litigation practice groups. During his more than 30 years as an attorney in Preti Flaherty's Augusta office, Steve has evolved from being an accomplished trial and appellate lawyer (more than 25 jury trials as lead counsel and over 50 Law Court arguments) to being one of the preeminent municipal attorneys in the state of Maine and a highly experienced employment law attorney. For more than 25 years, Steve has assisted cities and towns with the full range of legal matters as general counsel. His clients include the capital city, Augusta, the state's most populous town, Brunswick, and the state's fastest growing town, Windham. In addition to counseling leaders of these large and complex communities, he also has extensive experience as general counsel to industrial "mill towns" and rural, tourist-centered municipalities (such as Rangeley). His municipal work covers the full gamut from attending council and selectmen's meetings, writing ordinances and contracts, land enforcement actions, employment arbitrations, planning board and zoning board hearings, property tax abatements to constitutional litigation. As an employment lawyer representing businesses and municipalities, Steve has tried numerous jury cases to verdict and has handled hundreds of cases at the Maine Human Rights Commission and in federal and state courts. Those cases include all kinds of discrimination, sexual harassment, whistleblower cases, disability issues and retaliation. He also counsels employers as to how to avoid employment disputes proactively and conducts employee training. Steve maintains an active litigation practice primarily for business and municipal clients and has handled numerous groundbreaking matters with local and national implications. For example, he successfully defended a conspiracy and anti-SLAPP case brought by Ralph Nader against the Democratic National Committee and John Kerry. He was counsel to the City of Augusta in the Law Court's public sector labor case redefining status quo when collective bargaining agreements expire. He was successful at the United States Court of Appeals for the First Circuit defending the constitutionality of a parade and mass gathering ordinance. He handled a significant challenge to Maine's medical marijuana laws. He acted as the de facto town manager of the Town of Chelsea when the First Selectman was arrested and later convicted of numerous federal corruption charges. He also has an extensive probate litigation background. 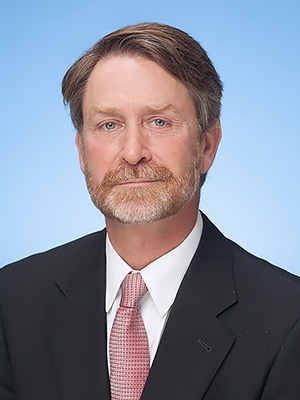 He has handled will contests, challenges to a personal representative's handling of estates, validity of probate instruments and disputes among beneficiaries. Mr. Langsdorf has practiced in many of Maine's probate courts and successfully defended probate appeals to the Maine Supreme Judicial Court. Steve was born in Brooklyn, New York, and grew up in the Washington, D.C., area. He joined Preti Flaherty in 1986 and became a partner in 1996. He lives in Hallowell, Maine, with his wife, Jeanne, and has two children, Natasha and Austin.